The Penny Stocks Buyers Guide article on NYSE and NASDAQ penny stocks shows there are a plethora of good quality penny stocks to choose from and therefore speculation in the pennies can be limited to the higher quality exchanges. For sophisticated investors with a high tolerance for uncertainty and those with the time to make phone calls and do extra due diligence OTC penny stocks may be rewarding. OTC penny stocks are those shares listed with OTC Markets and OTC Bulletin Board. These stocks are among the most risky investments and are a feeding ground for predators looking for stocks to tout in newsletters and email alerts sent to gullible investors. This article will provide in-depth details showing the diversity of the companies listed and include details regarding how the shares are traded, pricing and liquidity, information availability, and financial reporting standards. Buyer beware as this is where the pink sheets are found and the SEC provides a page detailing the risks and potential for manipulation. The OTC Bulleting Board is an inter-dealer electronic quotation system displaying real-time quotes, number of shares traded and last sale price. A recent search on the OTC Bulletin Board website resulted in over 800 companies listed. Under the OTCBB’s eligibility requirements companies must file current financial reports with the SEC or other financial regulator. There are no share price minimums and in many ways the companies listed here look the same as those on the OTCQB which is part of the OTC Markets. 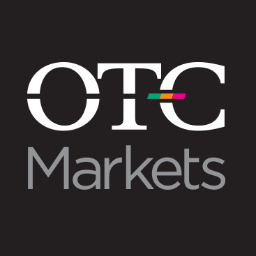 There are three different tiers making up the OTC Markets, OTCQX, OTCQB and OTCPink with about two-thirds of the companies listed on the more risky OTCPink. In total there are over 10,000 companies listed on OTC Markers and there are many high quality foreign ADRs here including well recognized names like Addidas, BASF and the pharmaceutical giant Roche. The markets are classified by the quality and quantity of information provided. In order of transparency they are OTCQX, OTCQB and OTC Pink, the general characteristics of each market are illuminated in the table below. Trading Investors can buy and sell via institutional, retail and online in a way almost identical to NYSE or NASDAQ Electronic trading only via institutional, retail and online brokers. Electronic trading only via institutional, retail and online brokers. A special note about OTCPink Marketplace companies; these are the most risky investments often with no basis for prudent investors to make a decision. This is where the scam artists and pumpers and dumpers get many of their picks since there is little company information, buyer beware! The OTC Pink is a market without any financial standards or reporting requirements and is not regulated by the SEC. Pink Sheets was the previous moniker for OTC Pink. However, companies listed can provide some financial information and all OTC Pink companies are identified into one of three classifications depending on the availability of recent financial and disclosure information. The three classifications are detailed below. Limited information: These companies have problems with financial reporting, in bankruptcy or experiencing financial hardship. This category also includes companies that are not in financial distress but are choosing not to disclose information. These companies are branded with a yield sign on the OTCPink website. No information: Companies labeled as “No information” are branded with a stop sign, on the OTCPink website, indicating these companies that are not able or willing to provide disclosure to the public markets. In conclusion, OTC Penny stocks represent a very diverse group companies from multinational billion dollar foreign companies to tiny united states based companies that are nothing more than a collection of paperwork with no business operations. It is up to the investor to perform the research necessary to decide which stocks are a worthy investment.